The Vasco da Gama offers a luxurious and unforgettable cruising adventure north through the Indian Ocean. Cruise from the historic port town of Fremantle, along the Coral Coast to Broome, with ports of call in iconic Broome, the Kimberley’s Kuri Bay and the Coral Coast’s Geraldton. The Kimberley Coast is a remote dramatic wilderness and there’s nothing quite as profound, immersive and invigorating. It is a largely untouched wilderness of striking contrasts, with 12,000 kilometres of pindan cliffs, pristine white sands and clear turquoise waters teeming with marine life. Cruise the 1,000 islands of the Buccaneer Archipelago. Experience the brilliant blue waters of Camden Sound - one of the world's greatest humpback whale calving grounds – on our stop at Kuri Bay. Nestled on the remote Kimberley, the Kuri Bay coastline is highlighted by magnificent red rock escarpments and a peaceful turquoise bay and a working contemporary pearl farm. 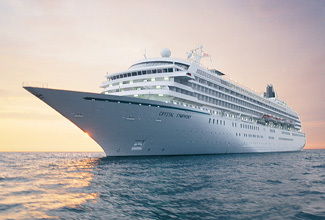 Continue cruising South towards Fremantle while taking in the beautiful views of the Indian Ocean in all its splendour. Join the fitness team on the Sun Deck for a jog or walk or even a game of deck chess. You can even relax by the pool with a good book and a refreshing cocktail if you prefer something more laid back. Today marks the end of your West Australian adventure. Cruise back to Fremantle this morning and when you arrive you will be personally met at the Victoria Quay Passenger Cruise Terminal by a DISCOVER AUSTRALIA representative and transferred to the airport to meet your flight home. 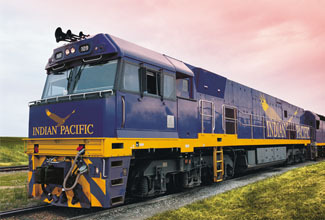 For customers travelling from Perth, the package is 14 days in duration, travelling Adelaide to Perth on the Indian Pacific. 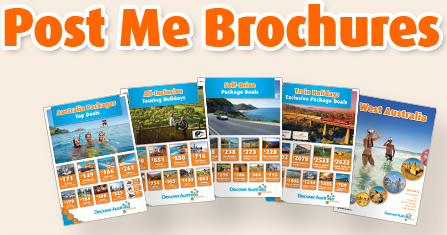 The Indian Pacific to Perth with Broome & Kimberley Coast Vasco da Gama Cruise is very popular. Many dates book out well in advance, please book soon.